Sofar Sounds... | As A Blonde. Ben and I have quite different musical tastes but love to get out and listen to live music. At the end of last year, Ben introduced me to Sofar Sounds - gigs that take place in intimate settings all over the world. We've been to three so far (it would have been four had we got our dates right in New York!). 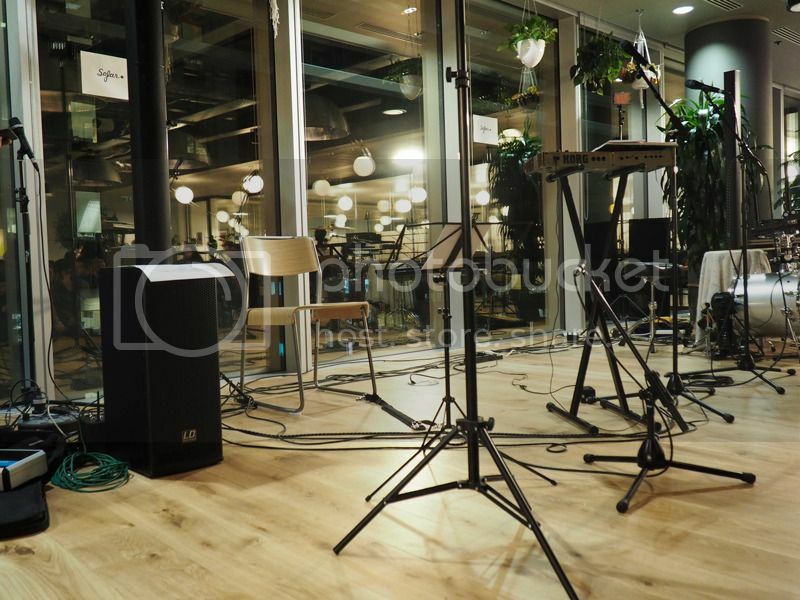 The latest one we attended took place on Monday at We Work in Aldgate so I thought I'd take my camera along! The thing I love most about Sofar is that you get to hear some incredible acts you'd never normally get exposed to. Whilst most of the evenings are predominantly music, this week's event included poetry/spoken word. Normally this would not be my thing at all but getting to hear Laurie Bolger give the back story to where the poems came from opened up a more interesting side to poetry for me. Also playing were Jordan Mackampa and Passport to Stockholm who are now firm favourites on my playlist! 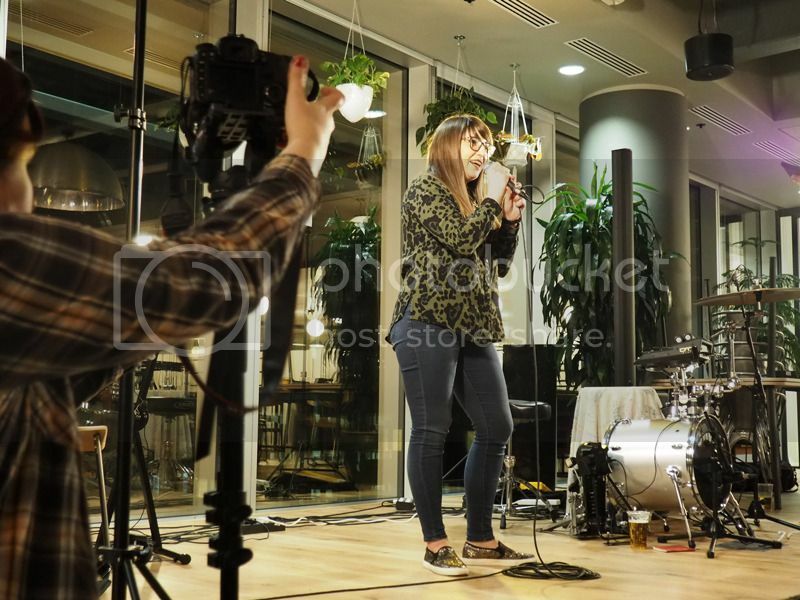 If you're looking for a great night out that doesn't break the bank I'd definitely recommend checking the Sofar website to see if they happen in your city! 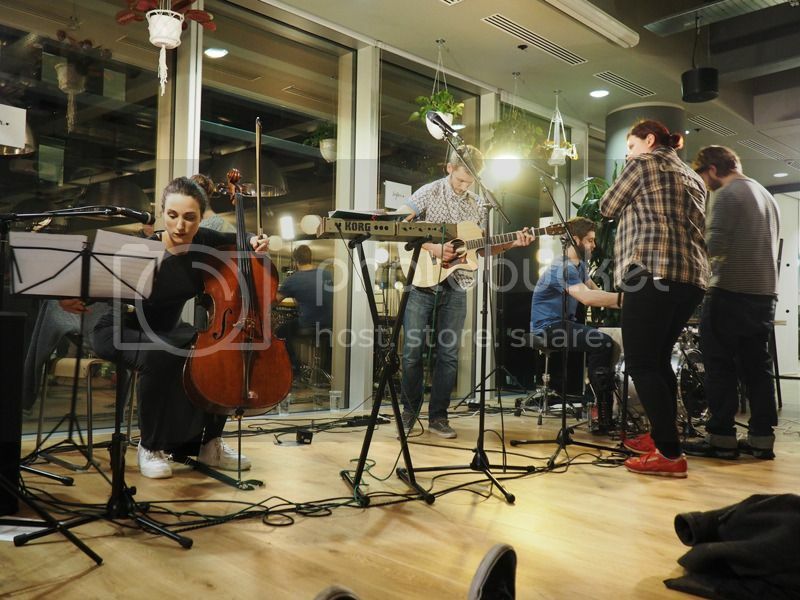 Have you been to anything similar to Sofar? I'd love to find more things happening like this in London!